Best Shampoos for Men | Valet. There's a popular myth that your hair builds up a specific tolerance to your shampoo over time. That's not true. But what is true is that we get into ruts and miss out selecting the right shampoo for the season we're in or the particular issue we're having with our hair or scalp. Whether your hair is thinning, flaking or damaged, greasy or dry, lathering up with the right shampoo can result in way better hair days. So read up, and find the bottle that's going to change your morning shower for the good. A favorite of the Valet. team, this long lasting pump bottle features an ethically-produced blend of twelve botanical extracts, specifically designed to treat the most common problems of the hair. Fine, limp or thinning hair is strengthened thanks to arnica and rosemary, along with soy and oat proteins. 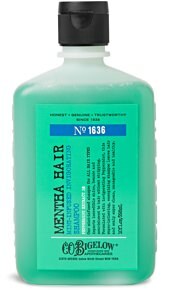 It also helps maintain a healthy scalp with soothing chamomile, sage and white nettle. If you tend to use heavier products to style your hair, there may be a build-up of product and natural oils weighing your hair down. This deep cleanser, formulated with ginseng to revitalize and rosemary to stimulate the scalp, lifts away product residue, excess grease and built-up pollutants for a fresh, clean start. There are drugstore dandruff shampoos that you can get for less money, but they tend to get rid of the flakes at the expense of your hair's health. Not this one. FDA-approved Zinc Pyrithione eliminates the bacteria that causes dandruff, while regulating excess sebum production. It works with all types of hair, soothing the scalp and putting and end to itching and scaling, all while enriching B vitamins and innovative peptides nourish the hair, resulting in more shine and whole lot less flakes. If your hair could be softer, shinier and thicker, then you should definitely try this affordable but all-natural 2-in-1 formula. Formulated for all ethnicities and gentle enough for daily use, coconut-derived surfactants clean the hair while shea butter conditions. 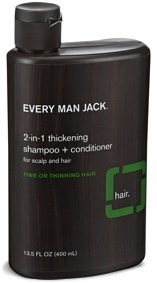 The brand says soy proteins fortify the hair from root to tip, making for thicker looking hair after toweling off. If you've dyed or highlighted your hair (or spent too much time out in the sun), you'll want a fortified shampoo that's gentle enough for color-treated hair. Infused with the nutrient-rich oils of sunflower along with a fortifying blend of B vitamins and a UV-protective filter, this color-preserving shampoo conditions and moisturizes dry hair to keep it looking and feeling fresh. This peppermint-infused shampoo works for all hair types, but more importantly its cooling, tingling sensation makes for an excellent wake up call during a groggy morning shower. The invigorating, super-lathering formula also works to remove product buildup and conditions the scalp without stripping hair of its beneficial natural oils. Commercially made shampoo wasn't available until the turn of the 20th century. Since most people didn't know much about the practice, The New York Times ran its first article on how to shampoo your hair in May of 1908.